Clutch Chain Wheel Triumph Triplex all 750 Twins 1973-85 57-4640. Clutch Chain Wheel, Triumph, Triplex, all 750 Twins 1973-85, 57-4640. 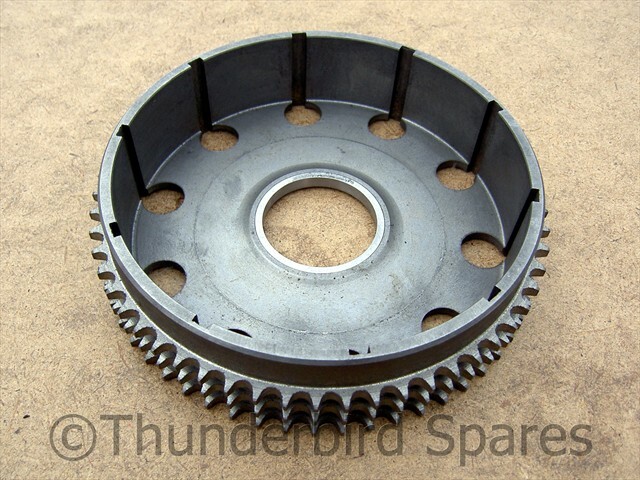 This is a new clutch chainwheel to fit all the 750 twin cylinder Triumphs from 1973-85 (including TSS). 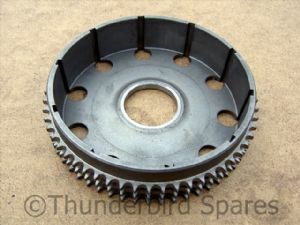 It is made to original spec in steel (with standard 58T) with a hardened insert for the clutch rollers. Original part number was 57-4640.